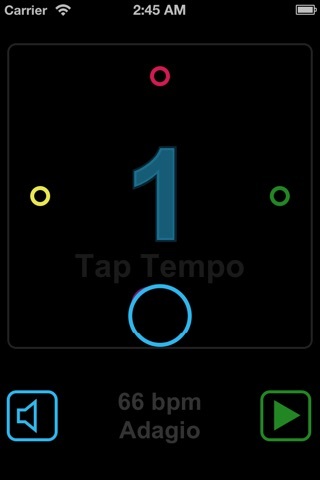 Adagio is a simple visual metronome. You can keep time with the click sound off, and simply follow the bouncing ball as it conducts the beats, or you can play along with typical metronome sounds. The current version supports 4/4 tempos only, but if users demonstrate interest, I will certainly add other time signatures. Adagio uses RaphaelJS, a MIT licensed open-source SVG rendering library.